Did I just enter the Twilight Zone? In San Diego this week at the IATA World Passenger Symposium. I really felt that I had entered this bizarre place. After directly witnessing (and feeling) the GDS companies ire, obfuscation and direct attacks on NDC for years and the Open Axis Group before that, it seemed as if I had stumbled on the campfire round which everyone was singing Kumbaya. The very companies that were warning of the dire consequences of NDC, paying high (and low powered) consultants, lobbyists and others to kill NDC even before it was born now embrace it with open arms. Well not quite – picking through the well rehearsed lines and statements was a large bit of fudge. But frankly I don’t care how they got here. THEY ARE HERE. Yes ladies and gentlemen the bizarre and the unexplained has happened. The GDSs now believe that NDC is the best thing since sliced bread. However, not so fast. We do not appear to be going into the land of the “different” quite yet. And this is my big concern. NDC is becoming shrouded in legacy processes and structures. This is where we could see the effort go off the rails. In my view the initiative is at a quite precarious state. There is a significant danger of the industry not taking advantage of the opportunity that has been afforded to it with the adoption of NDC (the communication standard not the panacea). NDC is not new. XML is not new. Dynamic pricing is not new. Ancillaries are not new. But that does not mean that NDC cannot bring change and positive benefit to all levels and potentially ALL stakeholders in the Travel eco-system. The problem has to be now that adoption will require rethinking processes and long held assumptions about Airline Product Distribution. The marketplace is dividing into three distinct groups. # The early adopters and market movers. They are clearly out front and trying to distance themselves from the laggards. # The great middle group who are confused. The first group is clear. There are airlines and IATA who are doing hard at work and have clear direction to adopt NDC not just in their indirect distribution but also they see there is value in the direct distribution area as well.. Companies like Farelogix, OpenJaw and Datalex who are IT providers are clearly in. And now it would appear that the GDSs are here too. The second group is confused and the vast majority of players. Most Travel Agencies have no idea what it means because their primary source of knowledge has been the GDSs. Now that the GDSs have moved towards adoption – they need to spread the gospel to the Agency Community.This group is going to be thirsty for knowledge and will expect a high degree of coaching to get to the next level – adoption – of NDC. The third group is waiting and waiting in finding a model that they can understand and adopt so they will wait until this process is well under way. The concern I have is that by waiting and hoping that it will go away – they will have a significant challenge to incorporating the new processes of NDC into their organization. For those of us in technology, what we are sensing is that the users both internal airline and travel agency must step up their game. The agent community over the past decade did not go through the same extensive re-purposing of their roles and corresponding training that the airline staffers did. Can they? Will they? Every Agency now needs to have a technology person on staff or available to bring different content into the displays. The GDSs have clearly stated they cannot provide ALL content ALL ways ALL the time? The complete switch over by the GDSs as laid out during IATA’s WPS sessions must be turned into action. The GDSs must bring their customers into the 21st century. This includes extensive new products for the agency community and corresponding training and education. On the road to sustained acquiescence and stupor, the GDSs didn’t quite make it. Something happened that changed their lives and those of all around them. The signposts were ignored about the end of the road. And there they found themselves and a different road. 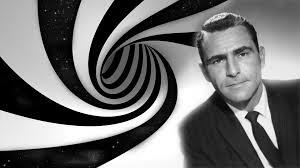 A detour through the Twilight Zone.